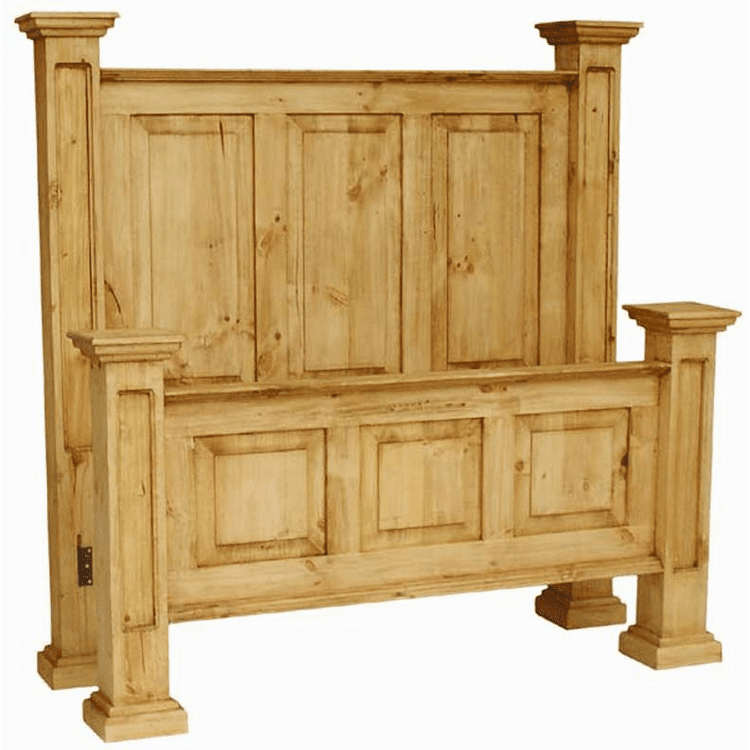 This beautiful and elegantly crafted mansion style rustic bed frame will look great in your bedroom, from our mexican rustic collection. Bed rails and slats are included. Hand-crafted from pine-wood with decorative inlay panels and post. Available in queen and king size. Check out Clara's picture of this mansion bed in her house. Click here "testimonial"
**NOTE: Every piece of rustic furniture is handmade and unique to give a one of a kind look. Imperfections will exist in appearance, texture, size and/or finish. Plus, the color shade of each piece may have slight variation, because they are made with natural products applied by artisans and lighting condition of the image taken, the actual finish will vary in appearance from any examples shown. In addition, worm-wood may be used to enhance the rustic apperance. Normal cracking of your kiln-dried rustic furniture adds to the handcrafted beauty and uniqueness of the piece, so it may not be considered a defect. If you have any questions, please call us toll free. Our offices will be closed on Monday Sept. 3rd, for Labor Day.